I have always said Jonagolds were the superior apple, now I have proof! Red Delicious apples: 27% over-rated. 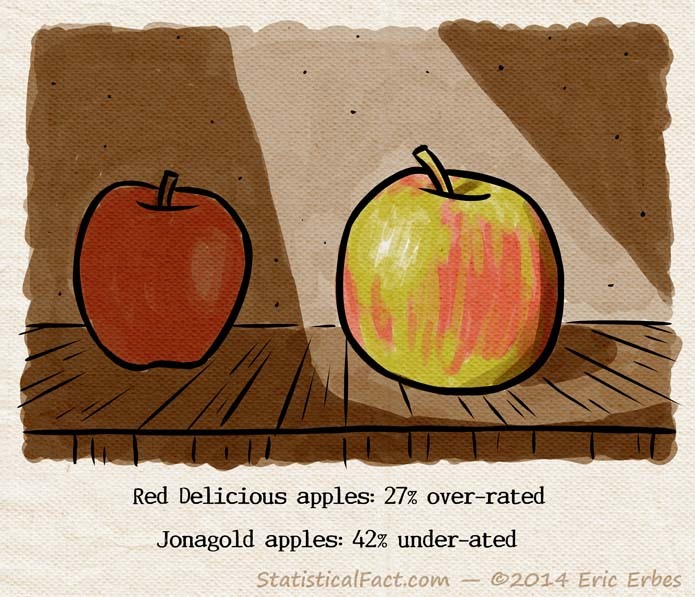 Jonagold apples: 42% under-ated.